The current configuration consists of a diskless/fanless Via C7 uITX system running CentOS 5.9 (Linux), this runs the echoirlp software that interfaces with the IRLP board on a parallel port. The audio ports of the computers sound card and the IRLP interface connect directly to a port on the 2m analog repeaters Arcom RC-210 multiport controller. This provides excellent audio quality. The entire echoirlp system was donated and built by members in 2011. Many people have asked about the configuration of the node, and the equipment used. Currently, the Echolink station consists of an Icom IC-2400A dualbander (UHF as control) running 5 watts into a Diamond SG7900A Super Gainer antenna. 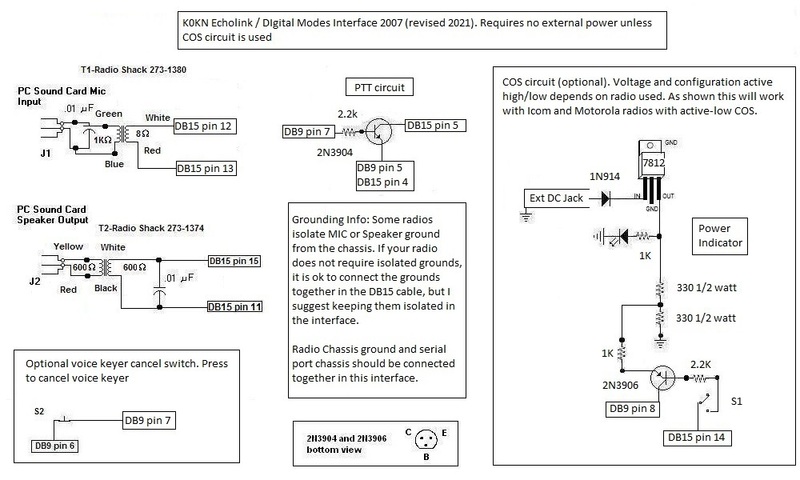 This is interfaced to the computer using a design from the ARRL HF Digital Handbook with added audio isolation transformers and pot level controls. This interface still needs a small enclosure, if you have one you would like to donate please make contact. The computer is a VIA C3 ITX diskless system (2GB of fast Compact Flash serves as a hard drive) with no moving parts, running nLite'd Windows XP Pro. Of course any of the components or the entire system could change if other equipment becomes available.